A Garden in Hell represents a pivotal scenario in the war against the Ravager. It's a fully enclosed box of goodies that is both a complete starter set for the FAITH game, including pre-built characters, rules and most importantly the cards you will need to play but it also includes a scenario that not only acts as a great introduction to the game and the universe but also creates a story that will have ramifications for FAITH's entire setting. You may have noticed that at no point did I mention the word dice. FAITH does not come with any dice, because FAITH does not use dice. Instead, all forms of conflict are solved via cards. It's a really simple system; players start off with a score equalling their skill, they can then add cards to the test based on their attributes. So if Roadblock is attempting to shoot a Ravager he starts off with a score of 4 (his ballistic skill) and can then add two cards, his dexterity attribute, to the test. The GM will do the same for the Ravager and whoever scores highest wins the conflict, with the level of success being the difference between the two scores. But that’s not all, players, NPCs and enemies aren't just sitting around waiting to be hit. FAITH is based on the principle of reactions. 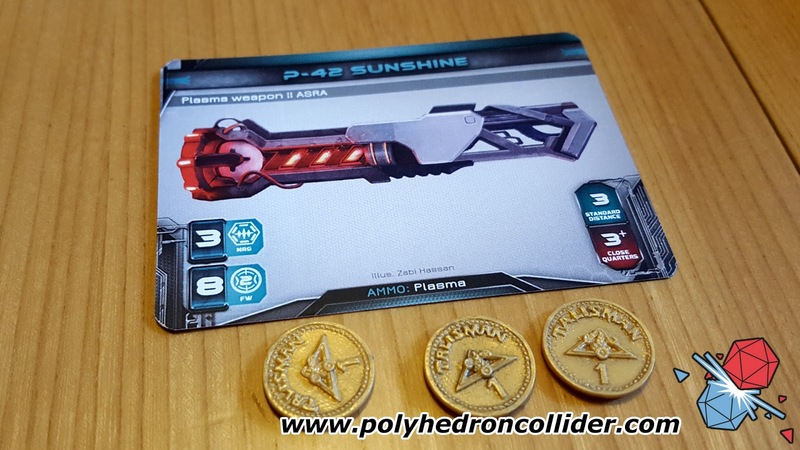 If I point the business end of a P-42 Sunshine Plasma Rifle at you, you're quite unlikely to just stand there and wait to have your head vaporised. Instead you're going to shoot me back, grab my weapon, dodge or try to convince me that the afternoon tea wasn't such a bad idea after all. 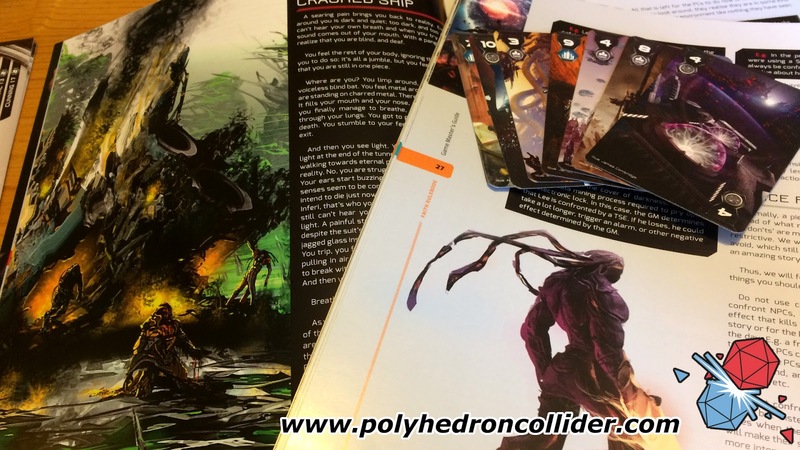 Combat isn't just like standing in the queue at the post office, waiting for the cashier to call your initiative number so that you can unleash hot plasma death; instead it's more dynamic, ebbing and flowing as players change priorities. At least in theory. I say in theory because playing an RPG like this requires the players to break years of muscle memory. A lifetime of Dungeons and Dragons or Final Fantasy video games means that FAITH's dynamic combat can take a bit of getting used to. Suddenly telling your players then can do what they want when they want is rather refreshing but took a few rounds of combat before the players get to grips with the concept. I can't sing this card system’s praises enough. It's a really simple system to implement, with no tables to look up and very few stats to compare. There are some simple advantages and disadvantages that can be added into the mix, boosting or limiting the number of cards each side can play. It's a system that allows considerable flexibility in how you approach each situation without getting bogged down in minutiae. It's also a system that gives players a lot of control over their fate. Players can choose which cards to play and so they can burn low cards on easy tests and save their high numbered cards for when it really matters. The game isn't completely devoid of luck, as players are still drawing their hands randomly and so there is still the chance that a player can draw a hand of complete dross, a problem that occurred to one of our players on multiple occasions. Thankfully FAITH hands some of the control of the deck back to the players, allowing them to draw more cards by either playing cards that match their environment or playing a card that is lower than their skill value, representing their superiority in the test. As you can probably tell by this point, hand management becomes an important aspect in FAITH, with players having to carefully balance the cards in their hands against the difficulty of the confrontation. Unfortunately this also brings in a frustration amongst my players. Your hand of cards represents the character's stamina and so as a confrontation continues players tend to have less and less cards available. Thankfully if players always hold one card in their hand but if a combat or event is dragging in it becomes more and more tense for the players. However, my players’ biggest frustration was the way in which health works. Each character has two health attributes, mental and physical. Mental represents a character's stress level and is regained quickly. Physical represents how bloody and beaten up you are and takes a long time to replenish. Both stats reduce your basic skill scores by the number of wounds you have taken. With some of the pre-generated character's having such low skill values it meant that some players started a skill test already in a negative score, meaning that the longer a combat continued the more difficult it became for the characters. This again is a two-sided coin, adding tension to every combat scenario but also making the game very frustrating if things start going downhill for the players. But it’s the slowness by which physical health gets restored is the game’s major detriment. Basic healing takes weeks, but this can be boosted by use of medical equipment and skilled players can conduct surgery to give players a health boost. This in turn can take hours of in-game time and requires players to resolve tests to successfully heal. Combined with the penalty to skill checks it means that players will be feeling every wound they take and although it can be argued that it’s a much more realistic approach to character health it can be very frustrating. This feeling is particularity strong during the opening act of A Garden in Hell as characters are stretched to their very limits. 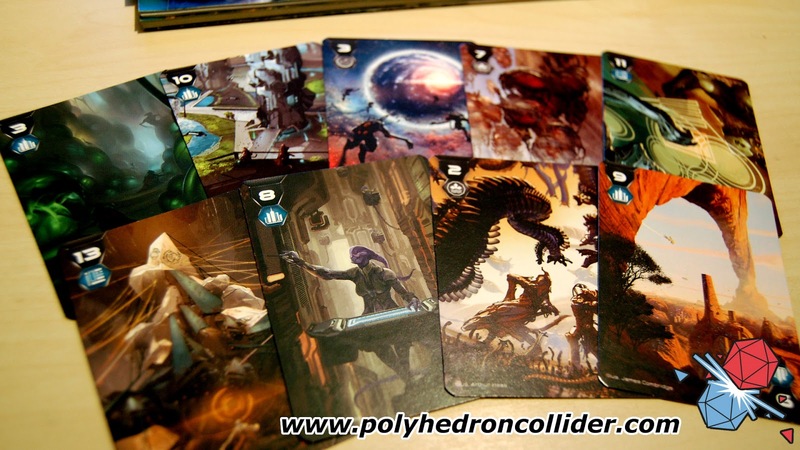 The cards also add considerable flavour due to the fantastic artwork that appears on every card. 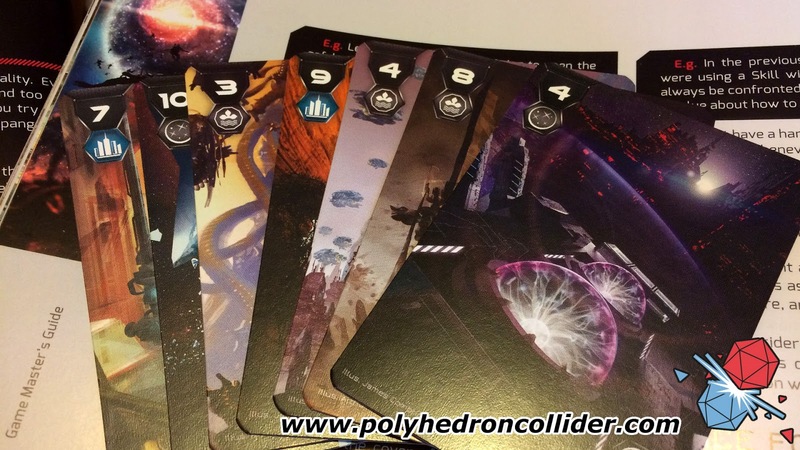 You can if you wish substitute a regular deck of playing cards, but by doing so you will be missing out on the beautiful and immersive artwork on every single card. 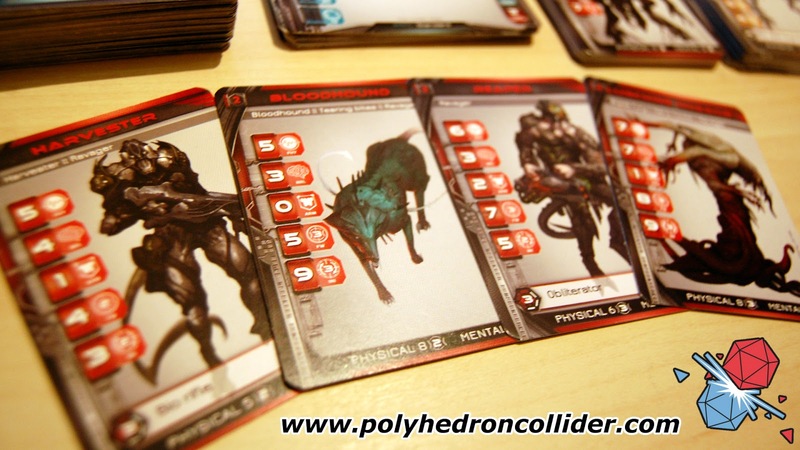 The use of artwork and cards also goes further, equipment, NPCs and enemies are also represented by cards, as well as larger cards for more complicated boss-like adversaries. Everyone at the table agreed that they really loved the idea of these. 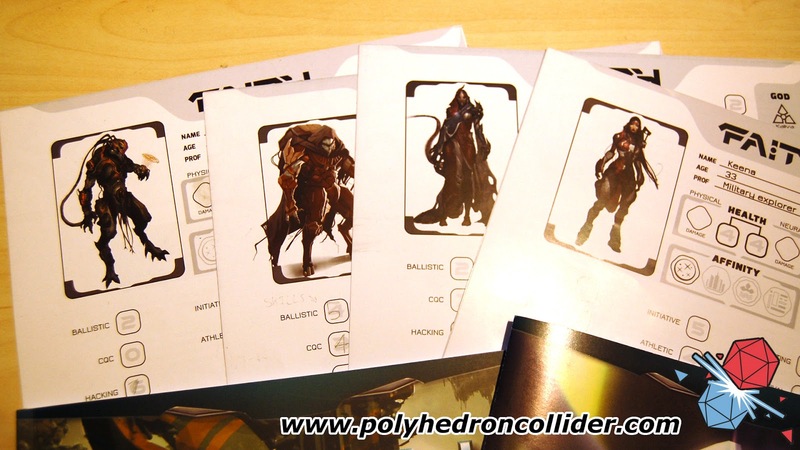 Not only does it mean that players have a nice visual representation of the creature or gun, rather than being hidden within a book that the GM is holding on to tightly, they also mean that the rules are right in from of everyone, rather than having to scramble through a rulebook when you need to check stats of a Ravager soldier. It's worth at this point also talking about the way FAITH handles encounters, because it's both dynamic and refreshing and gives the GM a lot of control over what happens. Rather than specifying a set list of creatures, like in a D&D module when the scenario will just say the players have to fight 8 kobolds, regardless of party size and make up. Instead FAITH specifies a level of encounter and the GM uses a points system to select a mixture of enemies from a set list to make up the encounter. It means that each confrontation is automatically levelled to the strength of the party and the GM can pick and mix the encounter to what feels most appropriate for the current situation. Similarly the way in which FAITH handles NPCs is elegantly simple. Half way through our first session the party had amassed an entourage of rescued pilots but rather than having to keep track of the NPCs and their enemies, it is assumed that they will be able to take care of themselves and so can be largely ignored during combat situations. What they add though is a bonus to the players' encounter level, reducing the number of enemies available to the GM. It's another way that FAITH removes some of the overhead of an RPG meaning you can just get down to the fun parts. 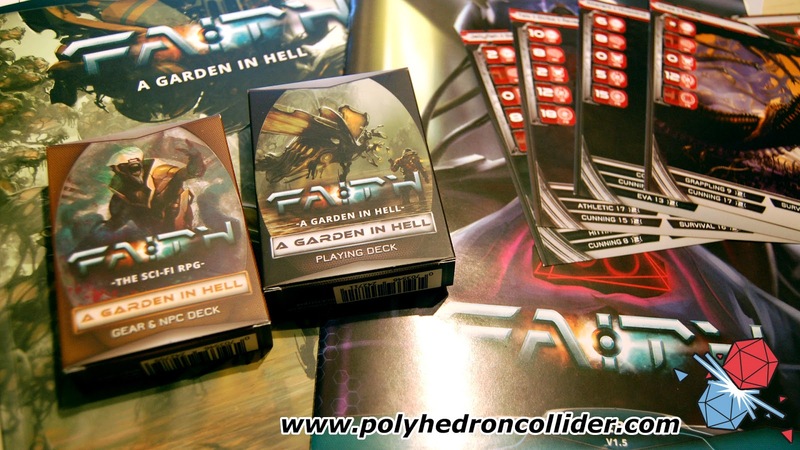 But Garden in Hell isn't just a rule book and some cards; it's a full blown mini campaign that's going to take 3 to 5 sessions to complete, all depending on the decisions the players make and the results of their actions. 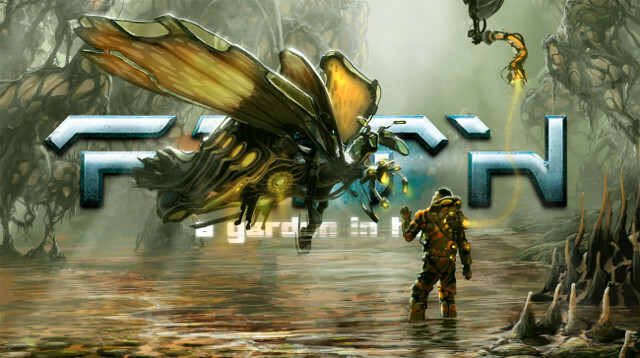 And that highlights one of the major pluses of Garden in Hell, although each groups' story will hit the same major beats, the way the players approach each section will be different and the time sensitive nature of the story means that it's impossible for the players to explore everything in the scenario. I don't want to spoil too much but I will say that it is a gruelling scenario that throws its players into the deep end. Now FAITH isn’t without its flaws. There are a few places that the rulebook is a little ambiguous and could do with some clarification (the aforementioned wounds and healing and the use of ammo being our largest area of befuddlement) but to be fair there are rulebooks for both RPGs and board games that have committed much greater sins. 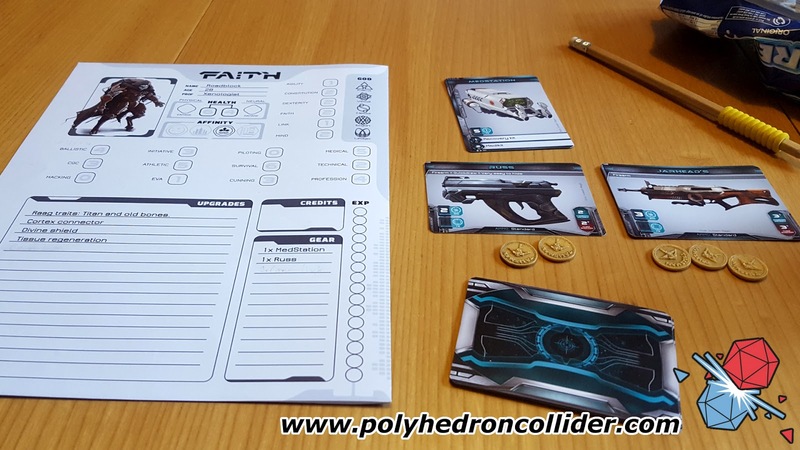 It’s what FAITH does right that is something to sit up and take notice, by making a simple but flexible card based resolution system that which is both intuitive and deep and places into a beautifully rendered science fiction universe that can be anything you want it to be.